Agostini Associati works closely with leading banks and financial institutions to deliver high-quality translations carried out by native speaker professionals with at least 5 years of proven experience in translating financial statements, financial reports, shareholder communications, private placement memoranda, audit reports and economic prospectuses. 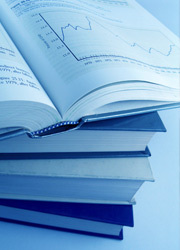 All our financial translators are trained and periodically updated on the new IAS terminology. Together with a leading auditing company, we have developed a specialist financial glossary that was used to translate 192 annual reports in the last year. Additionally, 53 companies that we work with are listed on the stock exchange in Italy and abroad. One of the founding partners of Agostini Associati spent over five years in the investment fund industry working with some of the world’s foremost investment houses. This experience in marketing and institutional reporting is a key strength in our quality control process.